What a fabulous discovery in such a small town! Wonderful train exhibits. Nice shop. 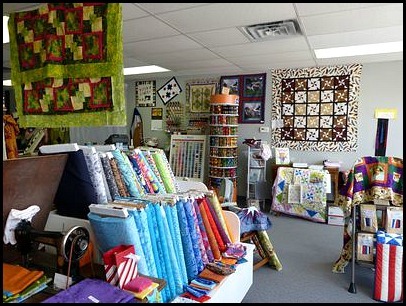 Whether you're an experienced quilter or just starting out, this is the place to find what you need. Come in and see what is all available for all your sewing needs. Open Monday-Friday 10 a.m.-5:30 p.m.; Thursday till 9 p.m.; Saturday 10 a.m.-4 p.m.